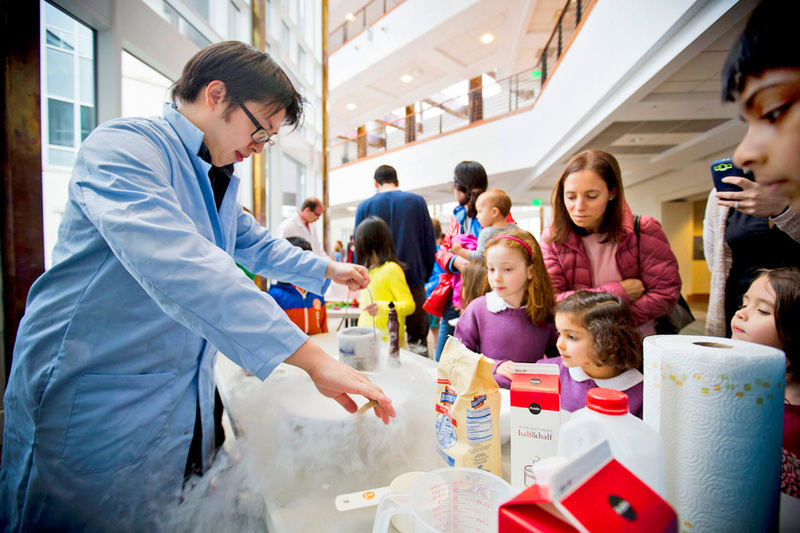 The second Atlanta Science Festival, an eight-day celebration of local science and technology, drew more than thirty thousand people to some 120 events at venues across the city—including several on the Emory campus, such as PhysicsLive (pictured), which turned the Math and Science Center into one big, lively lab. The March festival culminated in the Exploration Expo at Centennial Park, where more than twenty booths featured Emory faculty and students. “We want to help our community become proud of the resources, research, and discoveries happening here,” says Jordan Rose, festival codirector and associate director of the Emory College Center for Science Education. Emory was the catalyst for the festival, which now has dozens of partners.